What amazingly beautiful patterns !!!! Love it! You’re simply amazing!! This outfit is fantastic! This is just crazy beautiful! 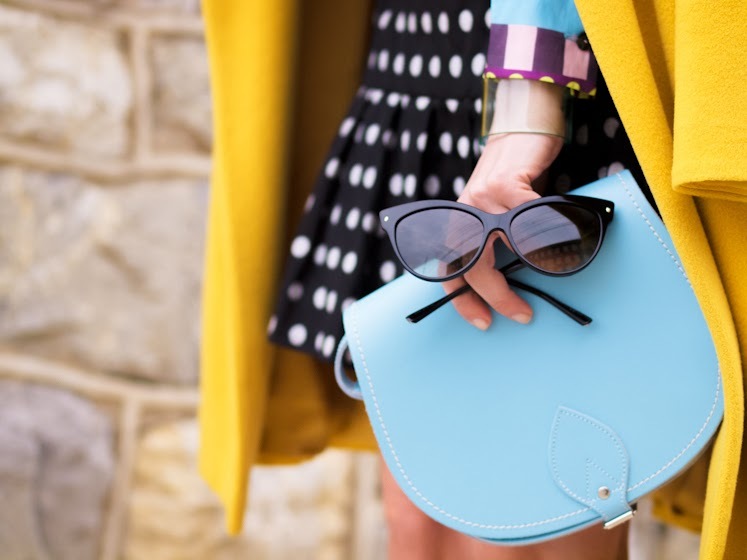 In love with that bright coat and it looks just right with polka dot! Love the print on the sleeves of that dress! Such a cute look! 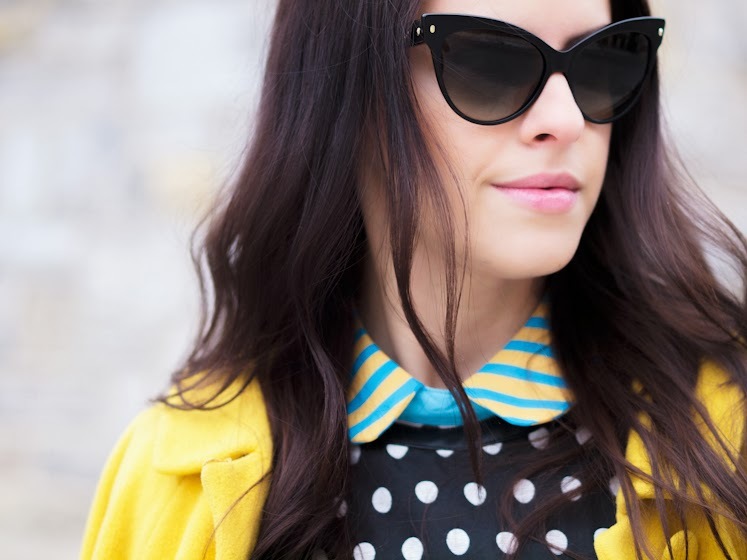 Loving that polkadots with the yellow! Fun combo! Adn the sunglasses are perfect!! The dress looks amazing with this jacket! I love the boots too! Such a gorgeous dress and bag! This outfit is styled to perfection!